One of Walkden Town Centre’s most innovative new retailers has set its sights on future growth with the help of a coveted business award win. Specscart, based in Walkden Town Centre, is one of the fastest growing start-ups in the UK and has only been trading since October 2017. Revolutionising the eyewear industry by changing the way people perceive glasses, Specscart aims to show that glasses are not just sight correction instruments – but affordable, fashion accessories. 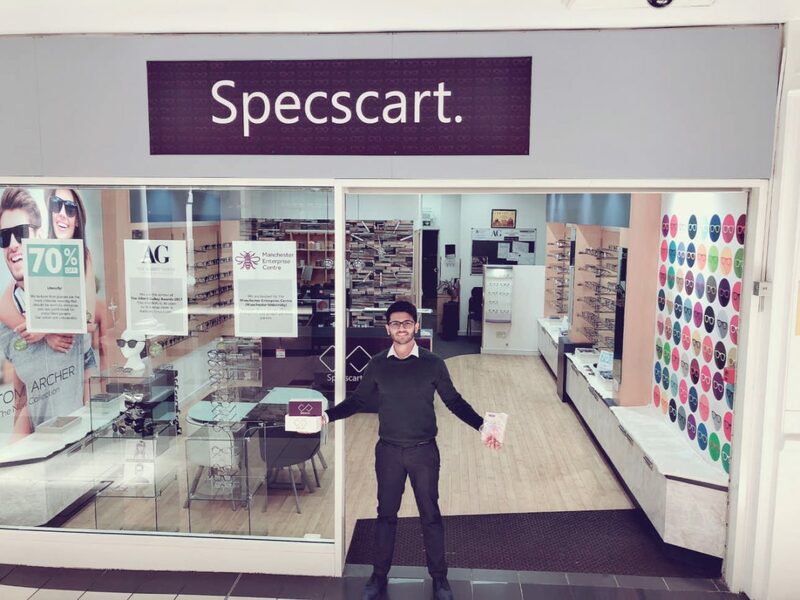 After setting up a Manchester manufacturing and supply chain and investing in a game-changing website that allows users to choose and customise high quality eyewear in its first nine months of trading, Specscart has won the Venture First Award for Business and a £10,000 cash prize. Organised by the Manchester Enterprise Centre, the Venture First Awards invite students and alumni from The University of Manchester to submit business proposals to an expert judging panel of enterprise and business professionals each year. Each of the four category winners receive a £10,000 cash injection to help realise their business goals. Julian Dowe, Centre Manager for Walkden Town Centre said: “We are very proud of all that Siddharth has achieved, particularly in such a small amount of time, and are delighted that Walkden Town Centre is an integral part of his success story.